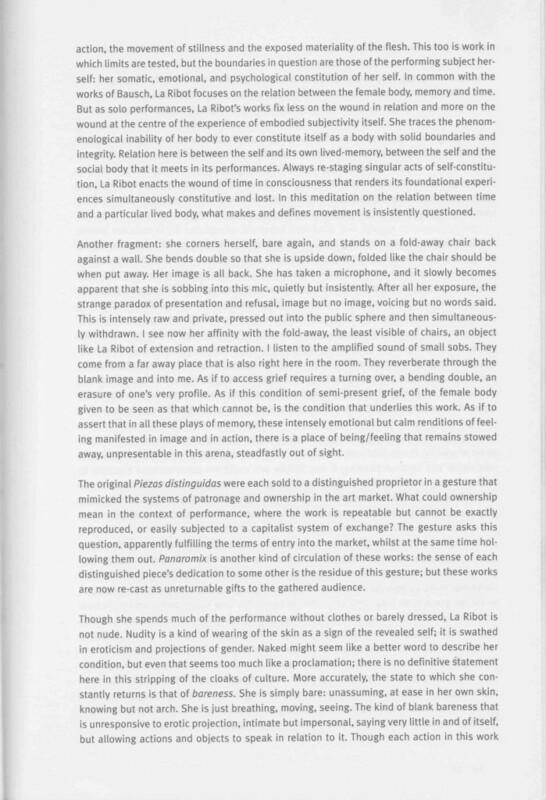 Adrian Heathfield writes on, curates and creates performance. He is the author of Out of Now, a monograph on the artist Tehching Hsieh, editor of Ally and Live: Art and Performance and co-editor of Perform, Repeat, Record. 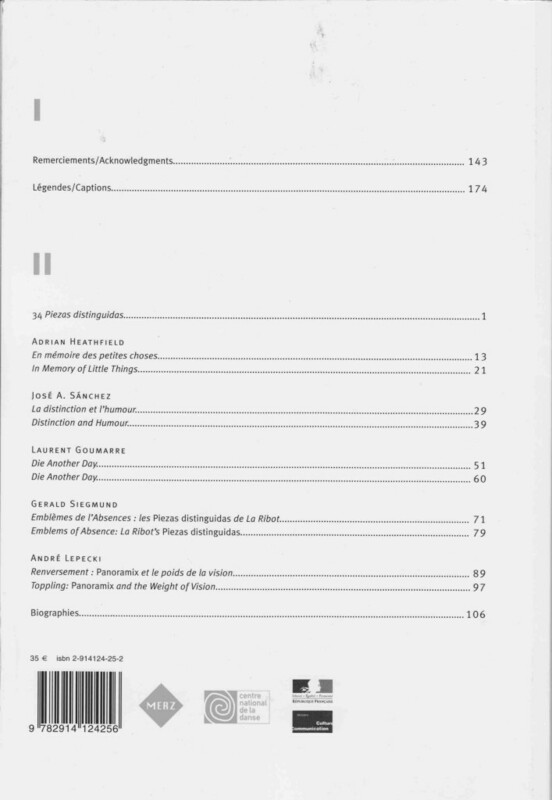 His numerous essays have been translated into ten languages. He conducted the three year European Union funded creative research project Curating the Ephemeral (2014–2016) on immaterial art and museal practices. He was co-director of Performance Matters, a four-year AHRC funded research project on the cultural value of performance (2009–2013). 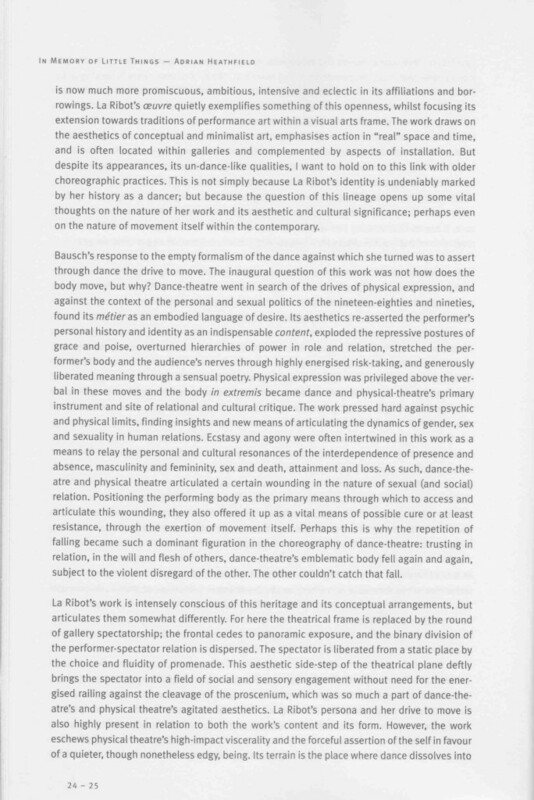 He co-curated the Live Culture events at Tate Modern, London (2003) and a number of other performance and durational events in European cities over the last eighteen years. He was curator of Doing Time, the Taiwan Pavilion at the 57th Venice Biennale (2017), a curatorial adviser and attaché for the 20th Biennale of Sydney (2016) and an artistic director with the collective freethought of the 2016 Bergen Assembly, Norway. Heathfield has worked with many artists and thinkers on critical and creative collaborations including film dialogues, performance-lectures, dramaturgy, writing and workshop projects. 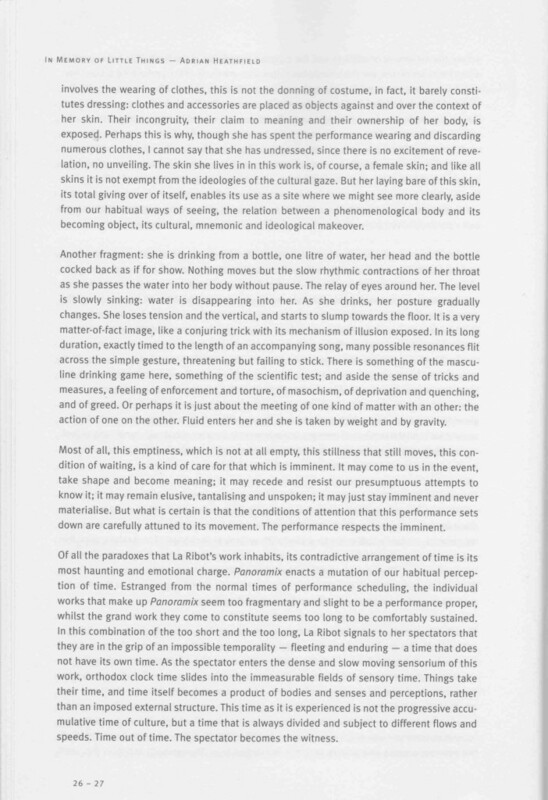 He was President of Performance Studies international (2004–2007) and is Professor of Performance and Visual Culture at the University of Roehampton, London. All images appear courtesy of their authors or copyright holders and should not be reproduced without permission. 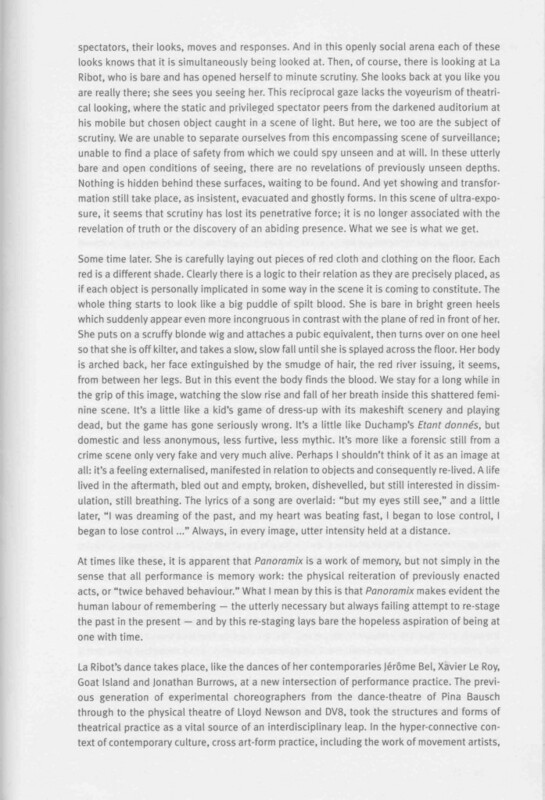 An extended examination of Spanish choreographer and performance artist La Ribot’s Panoramix. 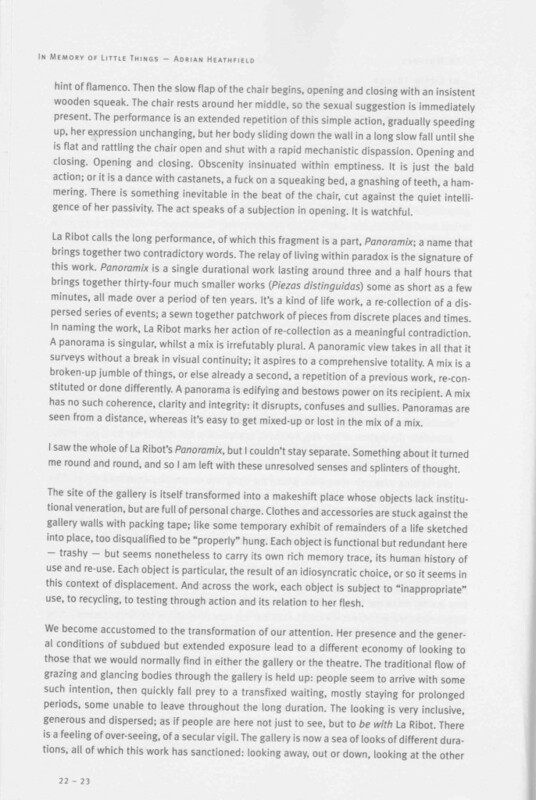 Working through a series of fragmented responses, the essay grapples with the artist’s use of bareness and relations between bodies and objects to explore the resonances of the physical experiences of memory and time. 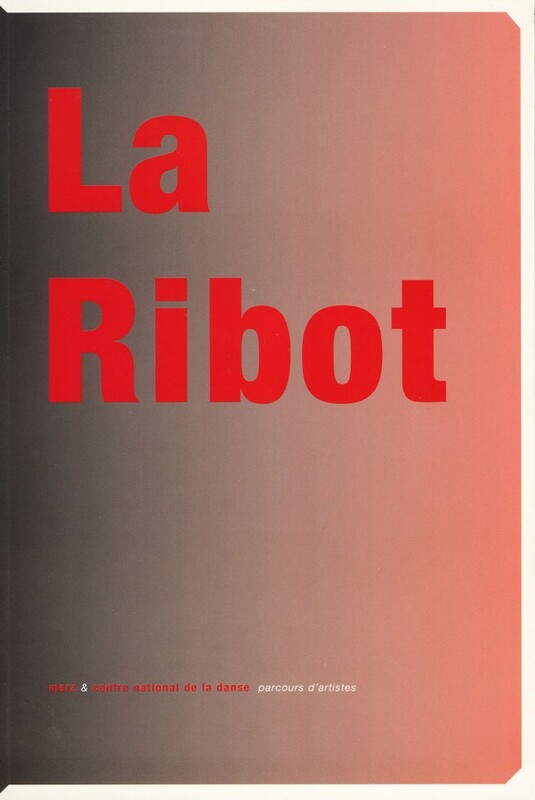 Homepage image: La Ribot, Panoramix, 2003. Photo: Hugo Glendinning. © the artist. 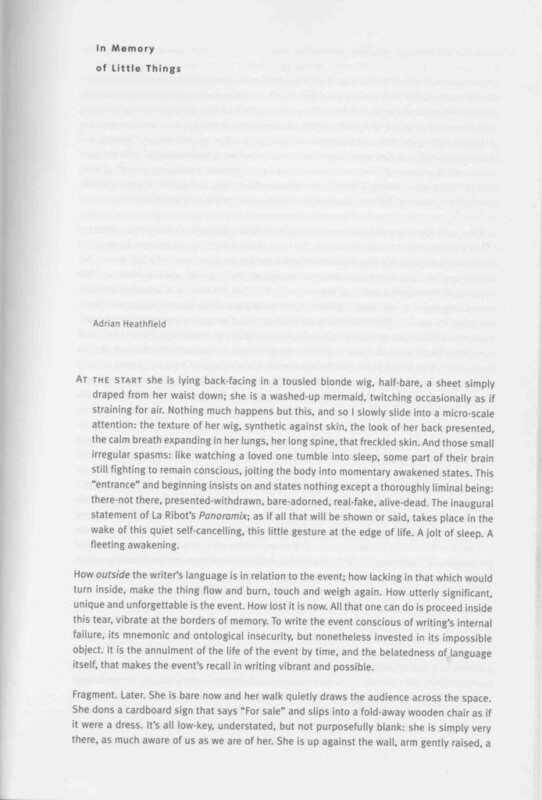 In Memory of Little Things is published in English and French in La Ribot, Merz and Centre National De La Danse, 2004.